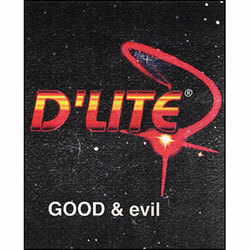 Good & Evil is a new twist on D’Lite’s classic routine Salt & Pepper. Good & Evil enables the performer to completely mix white and black powder in a spectator’s hand, then magically separate the black powder from the white. Good & Evil includes the magic powders, an Ultimate Sleeving Device, and a Flip Tip with insert. Because it includes these other products, Good & Evil provides the best value for the purchase price.